The patients charter has now been extended to Primary Care and we aim to provide all our patients with a high quality service to meet your health care needs. We will try to answer the telephone promptly and say who is answering your call. Same day appointments are available daily. Pre-bookable appointments are for those who need to arrange appointments around otherwise busy working lives. If you wish to speak to Primary Health Team Members, we will try to arrange a convenient time for you to do so, or have your call returned. We will try to start surgeries on time..emergencies permitting. You have let us know if you cannot keep your appointment. There is only one patient per appointment. There are not too many patients wanting acute (same day) emergency appointments. The Doctor is not called out on an emergency house call. We will keep you informed of reasons for delays. We will try and keep the premises in reasonable condition. We will try to do house calls within three hours of the end of morning surgery. Demand does vary, and at times there may be competing priorities for the on-call doctor. Only information you give can help this doctor to decide medical priority...so please give generously! To be treated as an individual and to give you courtesy and respect at all times. To offer you an appointment on the same day for an urgent problem. To offer an appointment with the doctor of your choice for non-urgent problems. To provide you with access to your medical records – subject to any limitations of the law and subject to a charge. To offer advice on disease prevention and health promotion. To process repeat prescriptions within 48 hours. To maintain your confidentiality and not disclose information to a third party without your consent. This includes not releasing results by telephone to another person without prior consent from you. To continue the training and education of both our staff and ourselves as clinicians so that we may remain up-to-date in knowledge and skills and are able to maintain the level of care we offer. To ensure that if there is a breakdown in our relationship to the extent that you are asked to leave the Practice, you will be provided with an explanation as to why we feel this is necessary. To only remove people from our list when no other solution is possible. 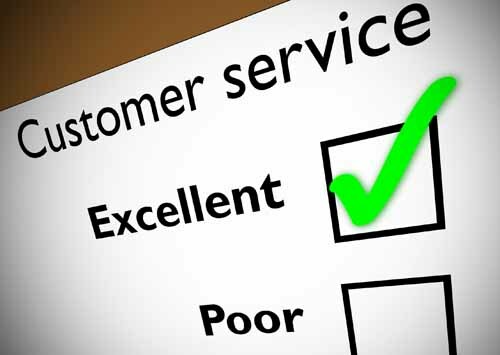 To ensure that if you feel the need to make a complaint, this will not detrimentally affect the standard of service you receive from us. Not to allow prejudice against anyone on the basis of their gender, disabilities, age, race or religion. To treat the doctors and staff with the same courtesy and respect you would wish to be shown to you. To inform us of any change of your name, address or telephone number promptly. To be punctual for appointments and let us know in good time if you are unable to attend. To request repeat prescriptions in good time and allow 2 working days for them to be processed. To use the Out-of-Hours service for emergencies only. To make requests for home visits only when it is strictly necessary. To request home visits before 10.30 am if possible. To act upon the advice of the health professionals and take medication as prescribed.